In 1971, Luigi Esposito moved to South Florida from Italy to bring the true culinary tastes of Italy to South Florida. 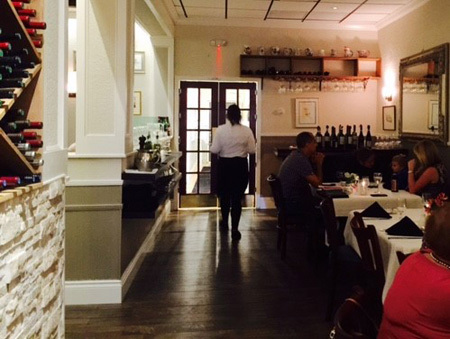 In 1981, Luigi and his wife Wilma opened Il Girasole in the heart of Palm Beach county. Il Girasole features superb pasta, veal and seafood dishes with a Northern Italian flair; as well as an excellent selection of wines. Over the last 30 years, their dedication to quality and culinary tradition has survived the come and go competition in the local dining scene. Along with their son and chef, Gian Esposito, and daughter Kristy, their Zagat rated ambiance and entrees befit the establishment, and has been hailed as bringing fine dining to Delray Beach. Il Girasole's philosophy is simple: to treat each and every patron as a distinguished guest in their home. Simple as it may be, Delray's "hidden treasure" is now recognized worldwide, and is now a home to many. Come and experience Il Girasole for yourself and become part of our family.